The last time that we blogged about our academics was in June. We had just finished sophomore year, confused about What We Want To Do With Our Lives, and eager to figure things out. For those that haven’t read it yet and don’t have time to (since it’s kind of long), the gist is we were considering whether we should continue doing computer science stuff (by sticking with our current major in 21E) or should stop doing computer science stuff (by switching to CMS). At the end of that post, we concluded that the only thing we can do is to take things one semester at a time. And this is our first semester doing just that. We actually have made jokes about it, how we won’t actually know what we ended up majoring in until graduation day. Anyways, we decided that we wanted to take another semester to see how we’re feeling about this dilemma, before making any drastic changes. So, for now, we’re taking the path of least resistance, and sticking with 21E. As you can see, we are only taking 3 classes (or 36 units in MIT talk) this semester! But it’s still an immense amount of work, because 031 is a struggle bus if there ever was one. 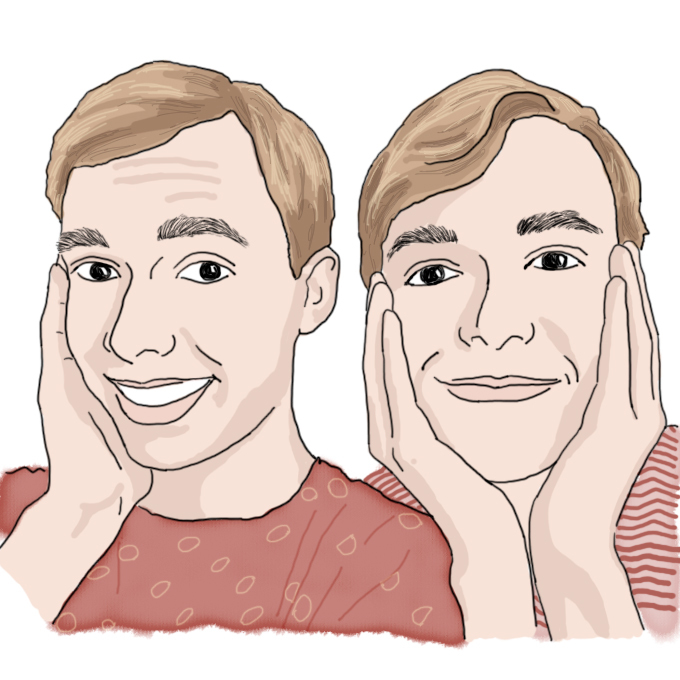 Plus we’re both doing another UROP for pay (blog post about both of the UROPs to come!). But even though we are still really busy this semester, we’ve been feeling like we do have more time to breathe. We could have each taken an extra CMS class. CMS.618 (Interactive Narrative) and CMS.627 (Imagination, Computation, and Expression Studio) sounded super cool. We were each registered for one of the two… for basically the first week of classes. Until, we realized that we really wanted to spend those 12 units on Life, instead. And to us that means being able to spend more time with friends. It means being able to sleep more. It means making time for exercise (while completing our PE requirements). It means making time for family. It means making time for relaxing, and learning to relax, because after our first two years here, we kinda forgot what that even feels like. Freshman and sophomore year, especially sophomore year, were really hard. Like really really hard. We really wanted something to be different this semester. When choosing our classes, we thought that taking 36 units (the minimum number of units to be considered a full time student) might be the solution. But we feared the stigma associated with the word “minimum”, and had hesitations. Being in a place, filled with overachievers, filled with many people who really embody the word maximum, made it difficult for us to go through with this plan. But we are so, so glad we did. This semester, we have been trying to expand our definition of “productivity.” Whereas in previous semesters, we associated number of classes and clubs and projects with productivity, this semester, we are also associating hours of sleep, frequency of seeing our friends, how many times we call our parents, exercise, and doing whatever else makes us happy with productivity. And this mindset has really made us enjoy this semester so far! And with that, we will provide evidence of the change. 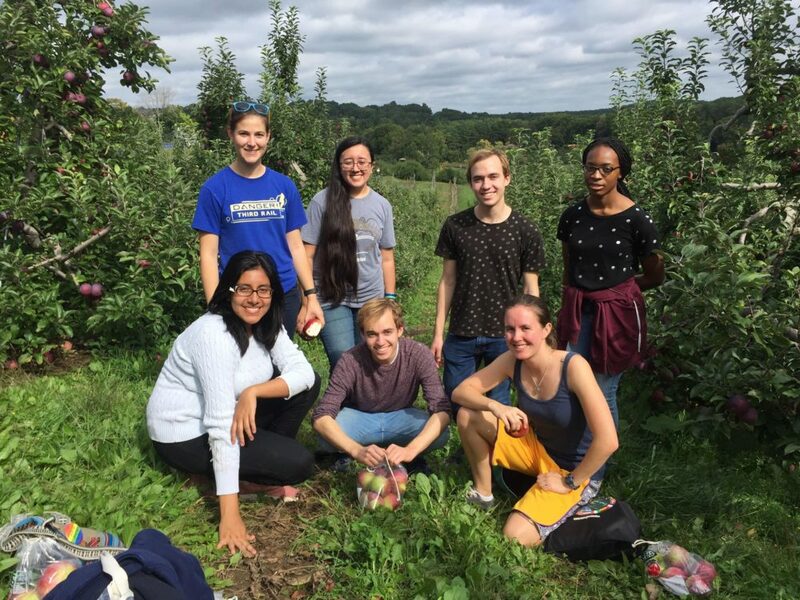 This time last year we were in the middle of juggling waaaay too much and wrote about how we had to miss the annual dorm sponsored apple picking trip because of it. This year, we’re writing a very different post.